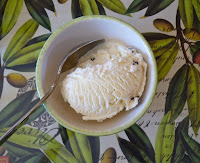 Today was Day #7 of Chocolate Cow Theme Week, and Day #1 of Chocolate and Mint Ice Cream Theme Week. 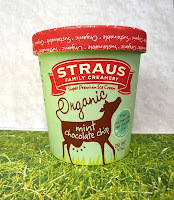 This organic, gluten free Mint Chocolate Chip ice cream from Straus Family Creamery (Petaluma, CA) was just fine for a late breakfast. 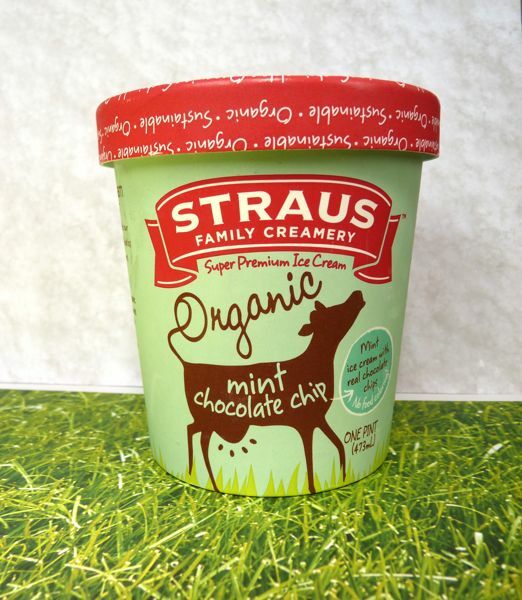 Made with milk and cream from Holstein and Jersey cows, organic chocolate chips, and flavored with organic peppermint extract, it was refreshing to taste good ice cream, and to see ice cream that didn't look like it had been doused with green food coloring by a heavy-handed leprachaun.